If there is one makeup brand you need to start coveting asap it is most definitely Beauty Bakerie. They have revolutionised lipsticks (I am yet to try their other products) and I cannot get enough. 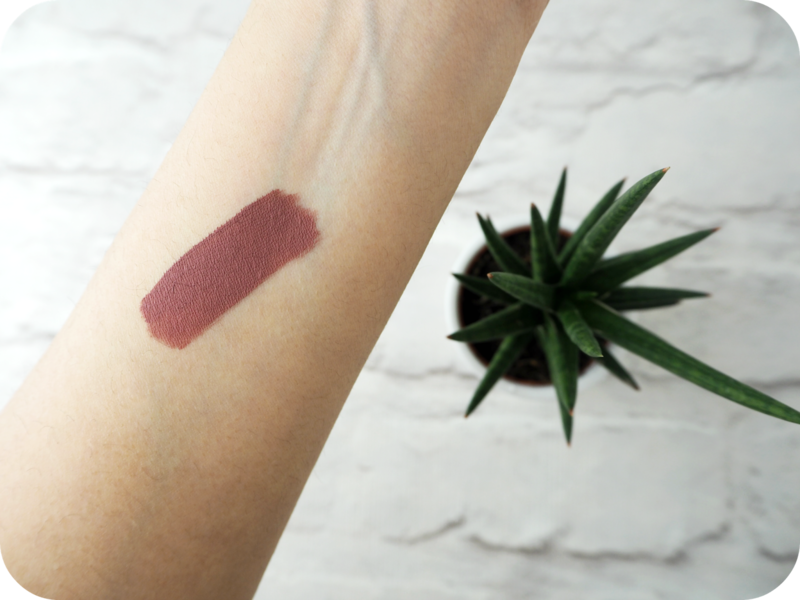 My first ever purchase from them will always be my absolute favourite – Lip Whip in Versailles. 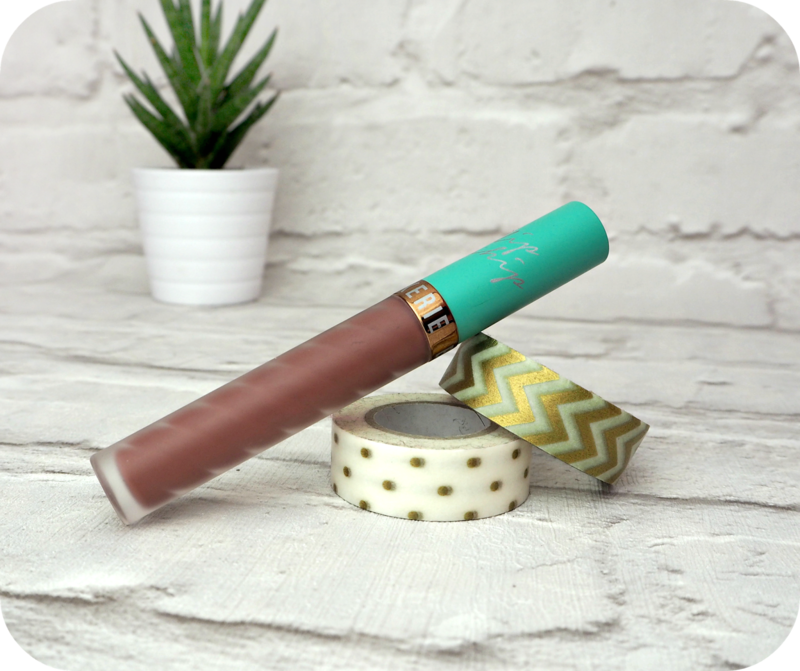 The packaging now comes in a cute, frosted twisted plastic tube with a mint green cap, finished off with gold branding. From their initial prototype packaging, I can really appreciate the new look they’ve gone for. The cap unscrews and has a standard doe foot wand attached so it’s really really easy to apply. The consistency of the liquid lipstick is creamy without being too thick and the pigmentation is to die for. Full on colour. My swatch below was literally one swipe, I didn’t need to go over it more than once to get the colour to show up. Versailles is a stunning colour. It’s one of those that you can get away with wearing tot he office but can also pull off in the evening. It reminds me of Lime Crime’s Faded and a little bit like MAC Whirl but it’s not a dupe for either one of them really. The colour is unique (trust me I’ve tried to find a comparison), it’s a beautiful mauve that suits all skin tones. One thing I have noticed is that once it’s applied it does get ever so slightly darker over the course of the day and it does look different on different skin tones and even different lights. It’s kinda magical. I did get a number of people to give it go and I have to say it looked equally stunning on everyone. If you haven’t read my previous post on Beauty Bakerie’s Raspberry Tiramisu that first of all, why on earth not?? and secondly let me just explain why I am gushing over this brand so much. Lip Whips are virtually indestructible. Once you apply them they do not budge. You can eat, sleep, talk, kiss and even lick your lips and this stuff is not coming off. It’s absolutely perfect for occasions like weddings, parties and those oh so important dates where you just don’t have the time to keep topping up. Provided that your lips are somewhat moisturised, the Lip Whips do not dry your lips out. They don’t feel weird once it’s on and it doesn’t smudge either (once it’s dried). I mean, does it get any better than this?? Well apparently yes, because the entire Lip Whip range is 100% vegan and cruelty free too. The best way to remove it is to use petroleum jelly or Vaseline. Baby wipes do not work unless you give it a really good scrub which can leave your lips quite sore by the end. Each Lip Whip is priced at $20, which works out to around £14. Considering it’s staying power and that you don’t need to keep applying it, it lasts much longer than the usual liquid lipstick so it’s definitely worth the price tag. Beauty Bakerie is currently not available for purchase directly in the UK, however you can buy it from their website. Unfortunately for us Brits it means that we do have to pay the ridiculously high shipping charges and sometimes even a customs charge which is kinda unfair. I’m on the hunt for a UK stockist though and it will definitely be up on DITD as soon as I hear. In the meantime though, if there is one colour that you do decide to try it, let it be Versailles. You will not regret it.